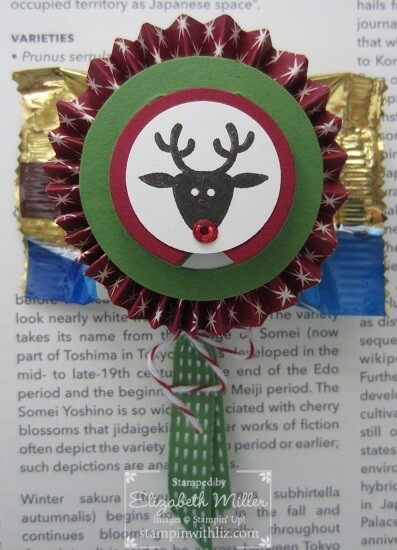 Here is another Christmas in July project inspired by Becky Roberts! Do you see Rudolph’s nose? I had heard that you can color our rhinestone jewels with a permanent marker so I tried my hand at it. Sure enough it works! Oops, I need to glue down the top flap piece a bit more!